A non-fatal cycle accident a cyclist was riding a bike and involved in life-changing injuries which required round the clock care and assistance. The cyclist was knocked off her bike by a lorry. The lady cyclist sustained severe brain injury and multiple fractures. The lady cyclist was lucky that she survived non-fatal injuries as it was reported that she was trapped under the lorry. Mr Justice Supperstone approved the settlement at a High Court hearing. 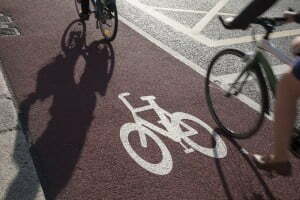 He described the impact of his daughter’s injuries as “devastating” and called on the government to do more to reduce accidents involving cyclists. Thankfully this unfortunate and tragic accident resulted in non-fatal injury but there are others that result in death. Whatever the circumstances were are here to help you both from a legal and financial point of view.